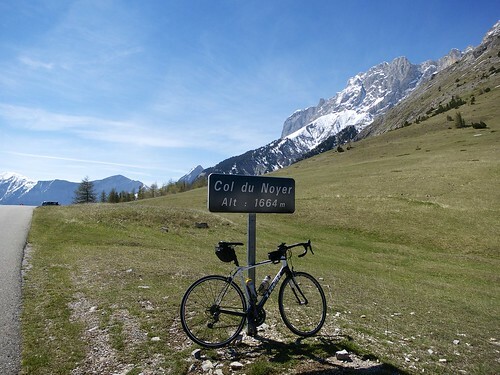 Col du Noyer is a beautiful, medium difficulty, climb in the Hautes Alpes starting beside the Route Napoléon (there is a refuge Napoléon at the summit). 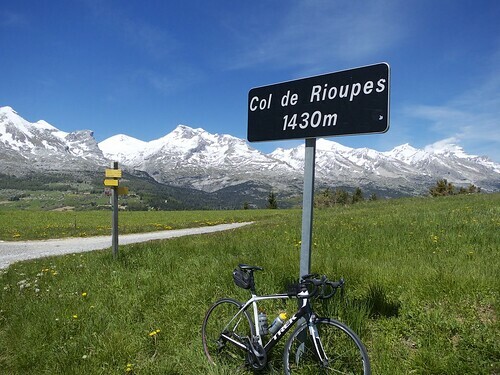 It has appeared 4 times in the Tour de France (’70, ’71, ’82,’10), and the 2013 and 2016 Critérium du Dauphiné. The more beautiful east side starts easily enough, but one can see the unlikely last stretch high in the distance – drool. It’s a wide single lane (or narrow double lane?) but perfectly surfaced on the top half of both sides – perhaps due to the 2010 Tour de France visit. Above Le Noyer things get fun. 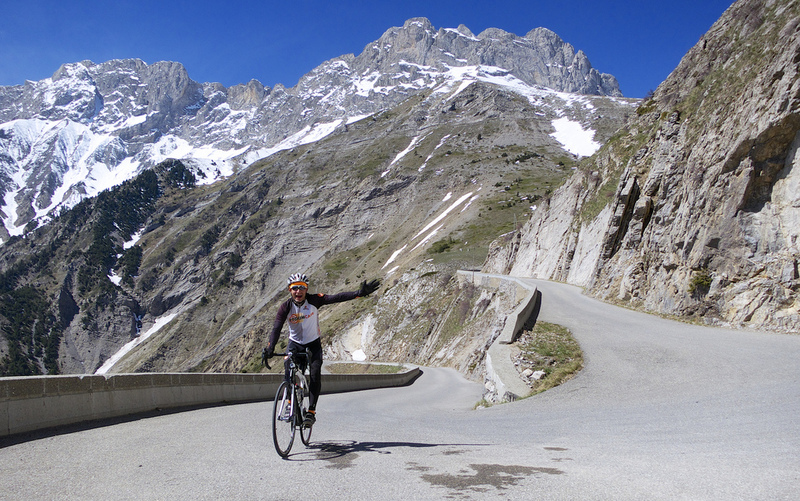 A long cliff stretch and then the very difficult last 2.5 kilometres. Uneven percentages, certainly some long stretches at 12-13%. 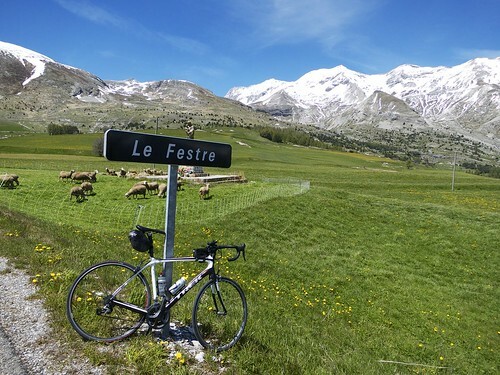 The Dauphine will climb this magnificent east side (the first couple of kms are different than my route – see map below – but they will pass through Le Noyer). 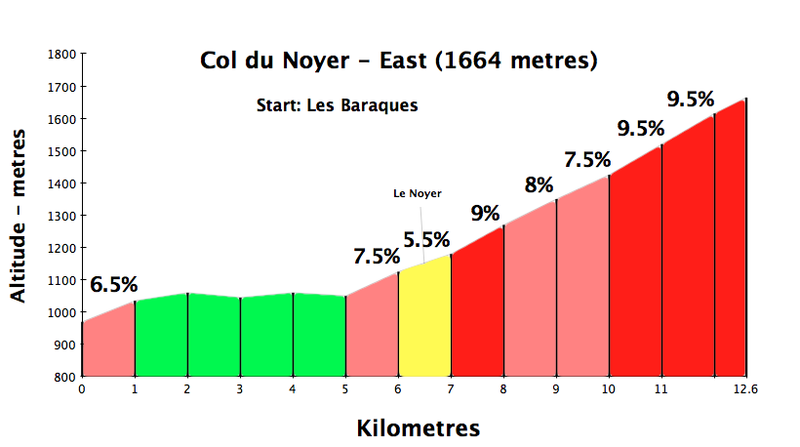 After a fairly non-technical descent, the stage will climb three kilometres to the ski station at Superdévoluy. It’s a wide, fairly easy ramp, with grade generally in the 5% to 6% range. 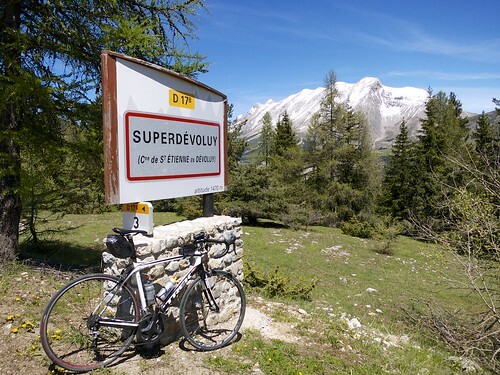 If you see a French village starting with “Super” it is inevitably a ski station. 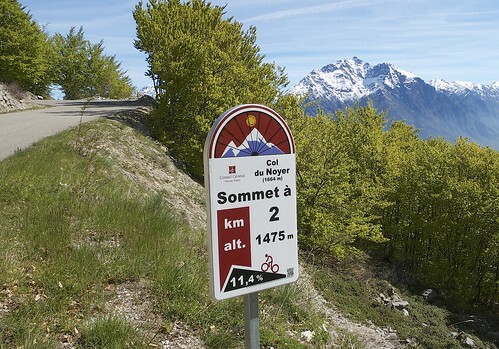 The Hautes-Alpes department has done a wonderful job not only adding cycling kilometre signs to big climbs but also marking routes. Much of my loop was an offical route, very well signposted including markers every kilometre — even on the non-climb parts. 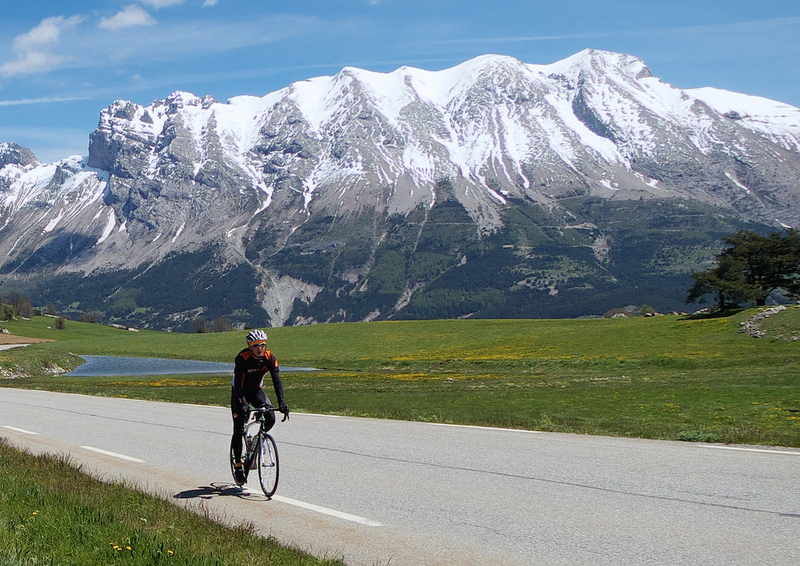 The Hautes-Alpes also sponsor two week-long series of bike-only climb days. See here for more. I don’t know this area very well, but will enthusiastically return. I was surprised at just how fun this ride was. 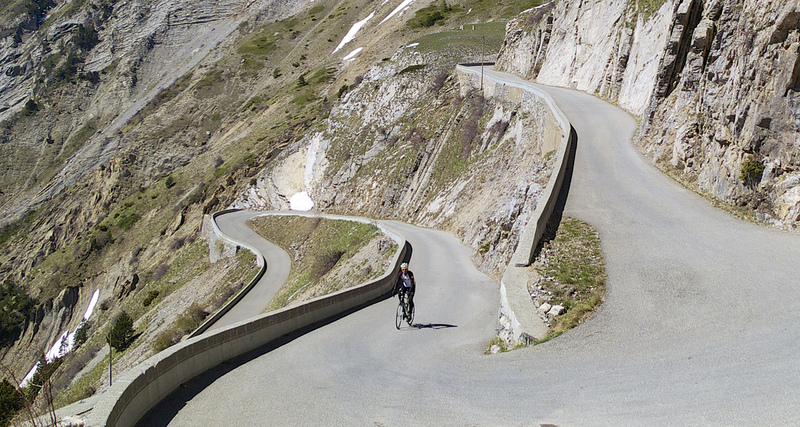 Especially the top hairpins. 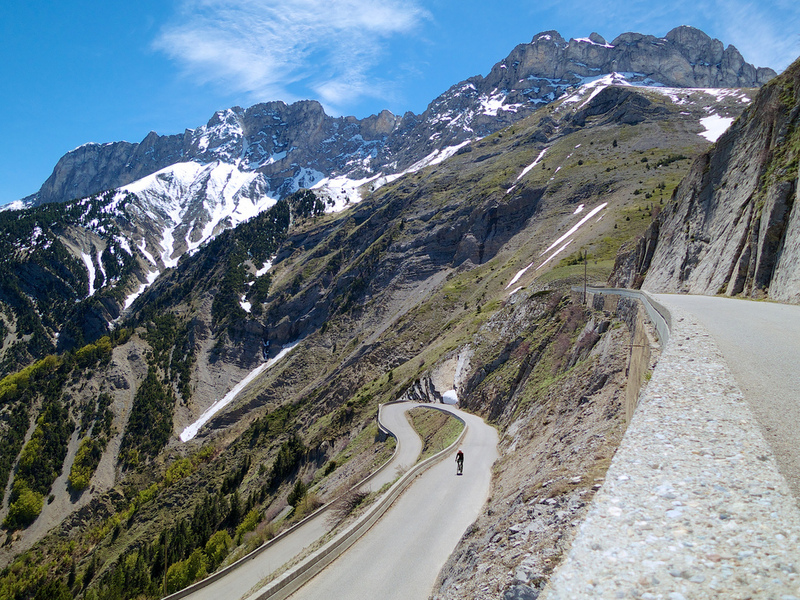 But there is plenty of good roads over the top too. A pleasure. Wow This looks like a great day’s riding. Where did you start and would that place be a good base for other rides in this area? 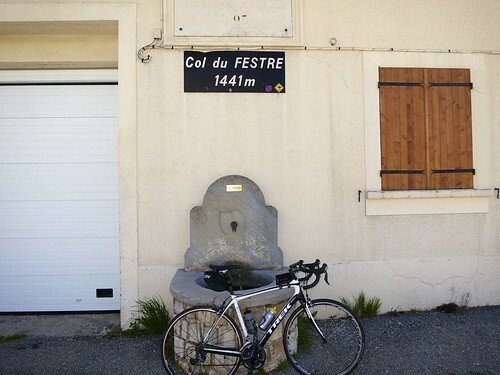 Where I started — near Saint-Bonnet is perfect. Other routes? I really don’t know the region, but there are a bunch of very well signed official routes (this was part of route 12).